The total market size for organic packaged food and beverages in Israel in 2017 is US$65.2mn, making it the 28th largest market in the world by value. Per capita spending on organic packaged food and beverages in Israel is US$7.49, which ranks as the 18th largest spending per capita in the world. The largest company by sales in organic packaged food and beverages is All Organic Ltd, which maintains 25.5% of total sales, followed by Hasade Natural & Organic Products Ltd and Noberasco SpA. Organic packaged food and beverages in Israel will see moderate year-on-year growth of roughly 5% in 2018. This is lower than the rest of the Middle East and Africa region, which will experience 8% year-on-year growth in 2018. Israel maintains a market size for organic packaged food and beverages of US$65.2mn in 2017, which is 0.2% of global category sales. Within the Middle East and Africa region, only Turkey and Morocco surpass Israel in total value sales of organic packaged food and beverages. Israel will experience slow forecast growth of sales of organic packaged food and beverages, at a 3.9% CAGR from 2017–2022. Organic food and beverages have gained popularity among Israeli consumers in recent years. While prices have begun decreasing with the expansion of private label organic products, the average price remains high due to relatively low competition. Organic packaged food and beverages are premium priced in Israel. The expansion of private label organic products has brought prices down somewhat, but they remain high due to relatively low competition. Among organic packaged foods, bread and spreads have posted strong value sales growth rates in recent years. Organic beverages is a relatively small category that mainly revolves around tea. Local companies are the main players in the Israeli organic packaged food and beverages landscape. Israel-based All Organic, with its established brand Harduf, was the market leader in 2017 with a 25.5% value share followed by fellow Israeli company Hasade Natural & Organic Products Ltd with a 6.3% share. However, Italy-based Noberasco SpA held a 5.1% value share in 2016. 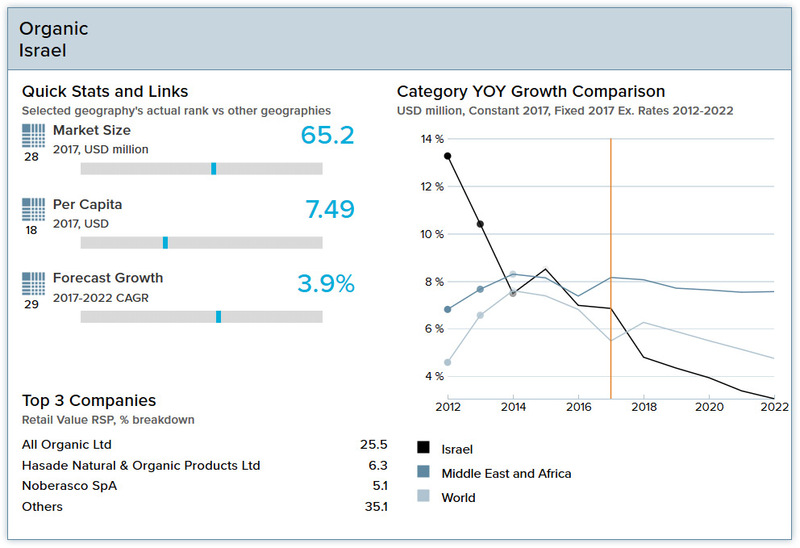 Organic food and beverages sales in Israel are projected to continue growing in the near term, but the pace of growth will be slower as private label products, particularly in organic packaged foods, gain traction and bring prices down. Potential threats to category growth include stricter regulations on organic products, which could keep prices higher and out of reach of many consumers. Companies are expected to launch products to expand their portfolios and appeal to Israel’s increasingly health-conscious consumers. New players will likely enter the market as import regulations are eased, which could also contribute to declining prices in coming years. Israel’s Ministry of Health has been working to fight obesity in the country for several years, investing in public awareness campaigns that warn of the risks of excess sugar and sodium consumption. A growing number of consumers are opting for beverages that they consider healthier, such as water, squeezed juice and carbonated water rather than sugar-sweetened beverages. Israeli’s are increasingly interested in fitness and healthy lifestyles, which has led them to increasingly join gyms and engage in jogging or sports to keep fit. Real GDP growth has averaged about 2.7% per year over the past several years, while per capita income grew steadily. 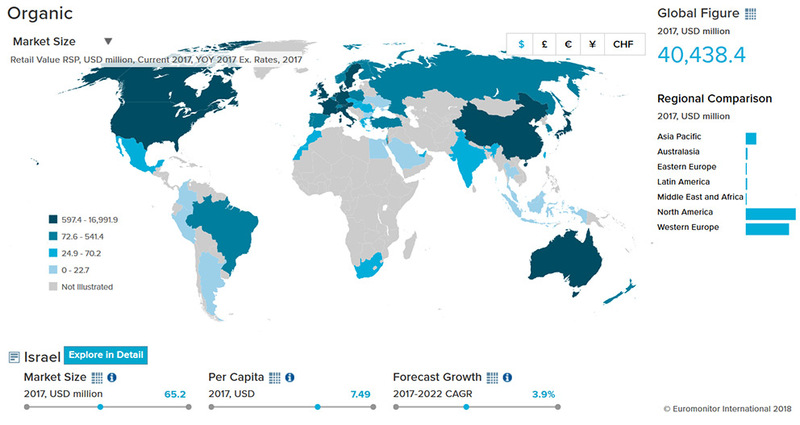 Growth will average about 3.0% per year in the medium term—roughly in line with economic potential. Global demand for high-tech exports and additional investment in the natural gas industry will be important growth drivers. In the long term, the rate of GDP growth is likely to slow along with slowing growth in the working-age population. Israel’s population was 8.7 million in 2017, up from 6.3 million in 2000. Israel’s population is generally well educated. There is a high level of labor force participation amongst secular Jewish women, which has begun to slow birth rates in this portion of the demographic. Aging is taking place at a moderate rate, with the median age increasing from 24.8 years in 1980 to a projected 31.6 years by 2030. With 20% of families living under the poverty line, Israel’s gap between rich and poor is one of the largest of all developed countries. This problem is exacerbated by low rates of labor force participation. Per capita consumer expenditure amounted to US$21,525.8 in 2017; communications and housing will be the two fastest-growing expenditure categories in 2017-2030. Israel’s organic law follows European Union organic standards and requirements. This initial standards covered to unprocessed plants and plant products, and processed products derived from plants, which carry or are intended to carry, descriptive labeling referring to organic production methods. Regulations for animal products were passed in 2013. Certification to the Israeli standard is not a requirement for importing organic food into Israel. 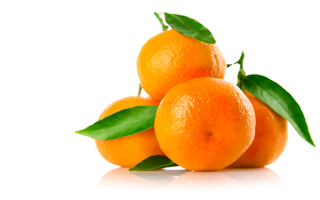 However, if an importer would like to utilize the Israeli organic seal then specific information documenting that the fruit meets Israel's requirements must be submitted to the Israeli Plant Protection and Inspection Service (PPIS). A list of accredited certifiers is available. The Plant Protection and Inspection Services (PPIS) are the competent authority and sole accreditation body authorized to approve inspection bodies for organic production. PPIS is recognized by the U.S. National Organic Program (NOP) to accredit certification bodies in Israel to certify to the NOP standards. Israel is on the third country list for the EU.